“I have used many mediators in recent years, and have been a mediator myself for the last 6 years, and Bruce is one of the best I have come across. He got the measure of the parties very quickly and was instrumental in enabling an agreement to be reached which allowed the disputants (neighbours) to move on with dignity. As a mediator, I found myself making a mental note of some of Bruce’s techniques”. Bruce Bourne has extensive experience of mediating commercial disputes, (350+) many of these were property related including boundaries and rights of way. Bruce also has considerable experince in probate and contract disputes. Prior to entering the world of mediation Bruce had a career as a chartered surveyor. He left his post as the managing director of a national firm of Chartered Surveyors within a large property Plc. in 2010. 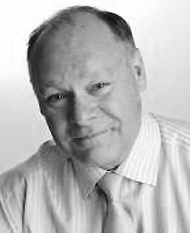 Bruce therefore brings an extensive career in property based companies, as well as management skills, to the world of mediation and disputes. Bruce’s popular style of mediating has resulted in his inclusion in the Chambers Directory in 2014, 2015 , 2016 and 2017. Chambers 2015: “Bruce Bourne marshals his experience as a chartered surveyor to bring a commercial and pragmatic approach to a wide array of mediations. He is experienced in areas such as property, and he enjoys a strong reputation for his assured disputes handling”. Chambers 2014: “Takes a gentle role, allowing the parties to let off steam, thereafter allowing the dispute to focus on facts rather than emotional baggage”. He believes it is important to build rapport with parties by listening to and understanding their interpretation of how the dispute arose. This enables him to help them find a solution to their dispute which is acceptable to them. Bruce was an elected member of the Civil Mediation Council board and is currently one of their Registered Mediators. He is also a member of the Chartered Institute of Arbitrators and the Royal Institution of Chartered Surveyors.